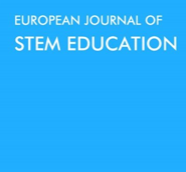 The European Journal of STEM Education (EJSTEME) is a triannual academic journal that analyses research related to STEM education. EJSTEME aims to stimulate the research about STEM education, of which the curriculum is still developing in Europe. Analysis and research is therefore needed to further extend the quality of STEM education. The journal is particularly interested in research that connects research and educational policy and practice for STEM education improvement. Both case studies and theoretical papers are welcome. The journal is a double blinded peer reviewed journal.